Are you a fan of amazing military grade vehicles and trucks ? 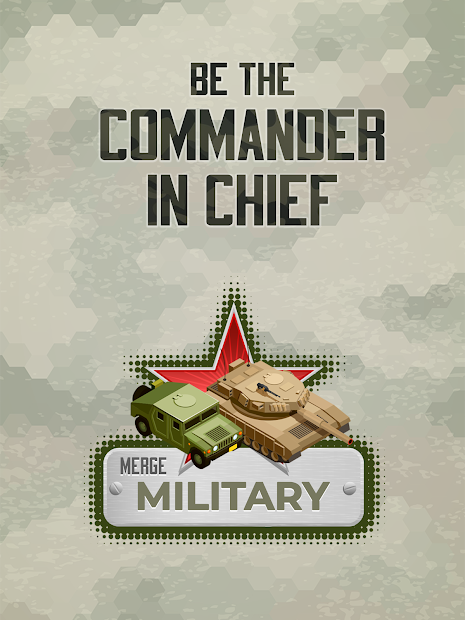 Do you have what it takes to gow a fleet of army vehicles, trucks , tanks , planes and cars? 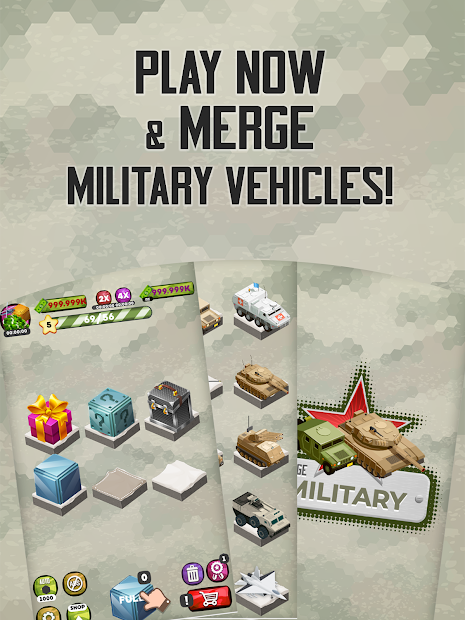 Then look no more, Start this free game and enjoy a huge variety of military vehicles and much more. Grow a fleet of your own by merging and prepare yourself for the war. Who doesn’t admire vehicles of army and navy? We all are great fans of high powered , amazing and upgraded military vehicles around us around us. So we decided to bring all your favorite variety of military cars, trucks, tanks and much more in a fantastic and FREE game to get you going. This rage is going to be even greater after you play this new game to make your way up to different, powerful, high scale and grade, armored and amazing military gadgets. The speed of jets, planes, power of trucks, amazingly strong and powerful vehicles all in one game. In this game, we have a collection of all. Providing you with a variety of achievements as you grow, this game becomes more interesting with mystery boxes, better vehicles and money to get you going. 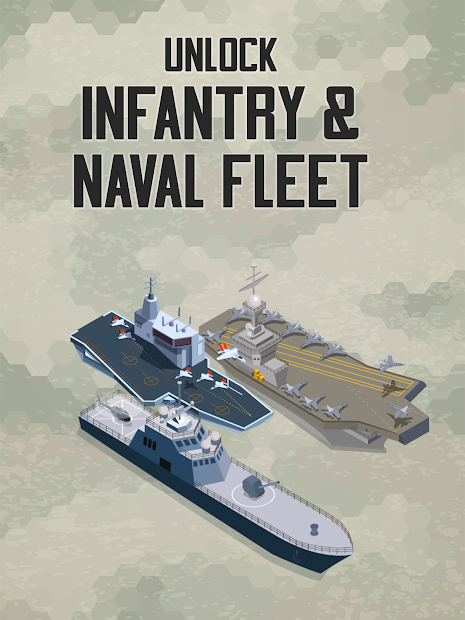 The game has a vast variety of army and navy vehicles including but not limited to tanks, trucks, fighter jets, aircraft carriers, military helicopters, Airplanes, Guns and many many more. This is the ultimate military vehicles set to accommodate all your wishes. Be fast, loud and be the defender of your military base. Start playing and merging to get to the top of the game. 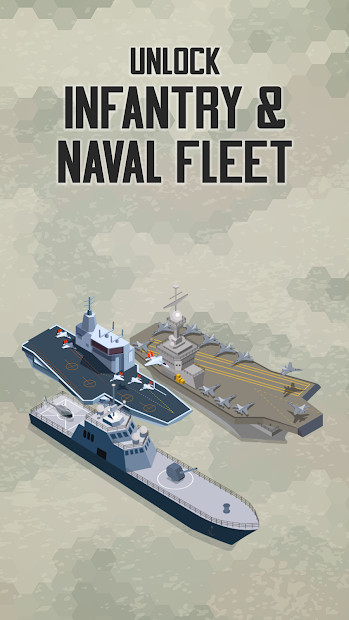 Be the general of your military and navy fleet and make the best out of your it. Be it be land vehicles, air support, or deep dive in the water world, this game has it all to fulfill your collection of military vehicles. 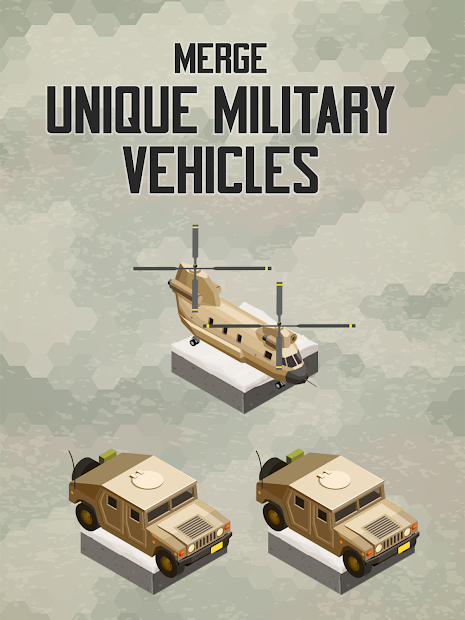 In our free game “Merge Military Vehicles”, we bring you a highly addictive gameplay to keep you going with a vast and variety of different military vehicles, planes and trucks. Wait no further and start playing this game and keep merging similar military vehicles to go far and have the favorite for your army collection in this game. It doesn’t matter if your reside in Europe, Americas, Australia, England , France or Asia, This game has vehicles admired by all.